The core mission that underlies all our services is ensuring we offer the best Tulsa County veterinary care from a talented staff within a warm, welcoming state-of-the-art facility. We believe we can achieve this every day as our newly built facility encompasses the leading edge of veterinary tools and technologies, our two veterinarians have more than 45 years of combined experience, and we constantly seek new ways to enhance our client services. The foundation for our model of care is our deep belief that the best means to protect the health and well being of your pet and minimize the lifetime cost of care is preventative medicine. 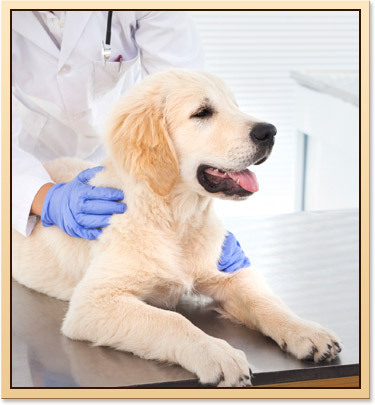 We offer thorough wellness exams tailored to the age and stage of life of your pet as well as his or her unique needs. We also offer a balanced and individualized vaccination protocol, lost pet microchip ID, integrative medicine, and physical therapy. Because we understand all our clients lives are busy and veterinary care should be as accessible as possible, we are open seven days per week and offer a Pet Taxi pick up and drop off service. River Trail Animal Hospital's Pet Lodge is also available for pet daycare, and features plenty of group play and outside exercise. Should your pet become ill or injured, our medical skills and resources are second to none. Our facility features advanced diagnostic equipment and a full surgical suite, and our veterinarians are highly skilled internists with finely honed surgical skills. We invite you to visit our hospital and see why we have worked so hard to build the finest veterinary hospital in our region of the country. 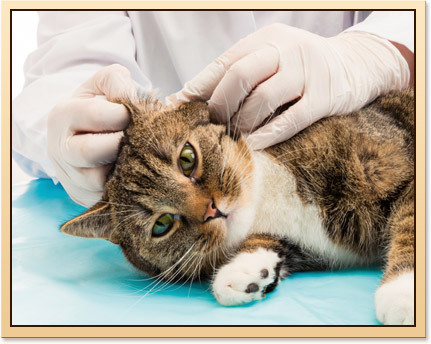 A thorough physical exam is just as important for your pet as it is for you. In fact, since our pets age much more quickly than we do, we recommend they receive one each year - and more frequent exams are encouraged. Since our pets can't tell us how they feel, a wellness exam is important for developing an overall picture of your pet's health as well as spotting potential medical issues before they become serious health concerns. Routine wellness exams are also a great opportunity for you to ask any important questions regarding your pet's health habits and daily care. 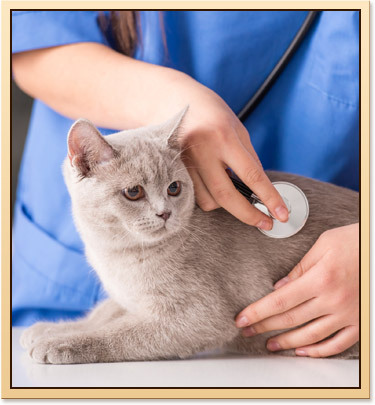 Your veterinarian will also use this time to inform you about home health care for your pet and offer new information on the care of your particular type and breed of animal. Check your pet's teeth and oral cavity – Examining your pet's teeth and mouth is an important part of preventing dental disease, which is one of the most common health concerns in pets. Very young animals also need to be checked to ensure they are developing an appropriate bite and losing their baby teeth at the right time. We also take the time to discuss proper home dental care with you. Palpate joints and muscles – By examining the joints, legs and other areas of the body, we can evaluate for swollen joints, decreased muscle tone and variations in muscle size between the limbs. We also observe your pet's gait for developmental issues. In puppies, we look for early indications of hip or elbow problems. For older pets, we look for signs of arthritis, which can be well-treated if found early. Vaccinations are not only safe and effective; they are an important and fundamental piece of your pet’s preventative healthcare plan. Advances in veterinary immunology have made diseases that once were relatively common and fatal to pets easily preventable. There are also vaccines—such as for rabies and other zoonotic diseases—that help protect your family from very dangerous and difficult to treat illnesses. Additionally, with each passing year, veterinary science is improving vaccines and increasing our ability to prevent an even wider array of contagious diseases. River Trail Animal Hospital’s vaccination protocol follows American Animal Hospital Association recommendations and is designed to take into account the unique attributes of your pet. We also like to rotate vaccinations based on your pet’s needs to ensure he or she has overcome each vaccine challenge to his or her immune system before the next one is given. We believe these measures are the best means to ensure your pet is adequately protected from disease while also reducing the risk of an adverse reaction to a vaccine. The core vaccines we provide for canines are rabies, DHPP, Bordetella, and Lepto. We also offer the flu vaccine for dogs. For cats, we provide rabies and FVRCP.